This post is sponsored by Inntravel. Not to be confused with the Dominican Republic, Dominica is a small mountainous island in the Caribbean. With stunning natural beauty and a tropical climate, it’s the perfect island for long strolls on the beach. 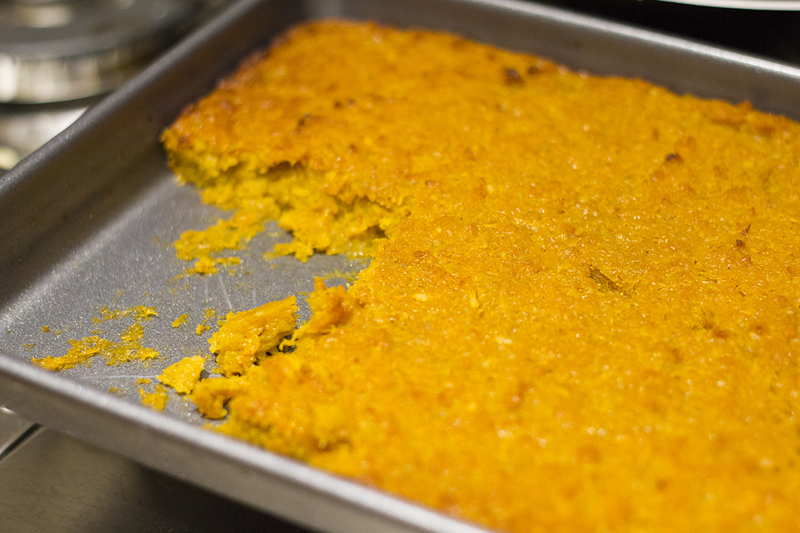 To celebrate the launch of their new walking holidays to Dominica, Inntravel challenged me to bake a traditional sweet potato cake loved by the people of Dominica. I’ve never baked with sweet potatoes before but the recipe sounded delicious, using spices to enhance the flavour of the sweet potatoes. The recipe was created by Leeds-based chef Dean Cuffey, who runs the Caribbean Café, so you know it’s going to taste authentically Caribbean! • To serve: I used Tesco Finest Madagascan Vanilla Double Cream but ice cream or custard would be lovely too! 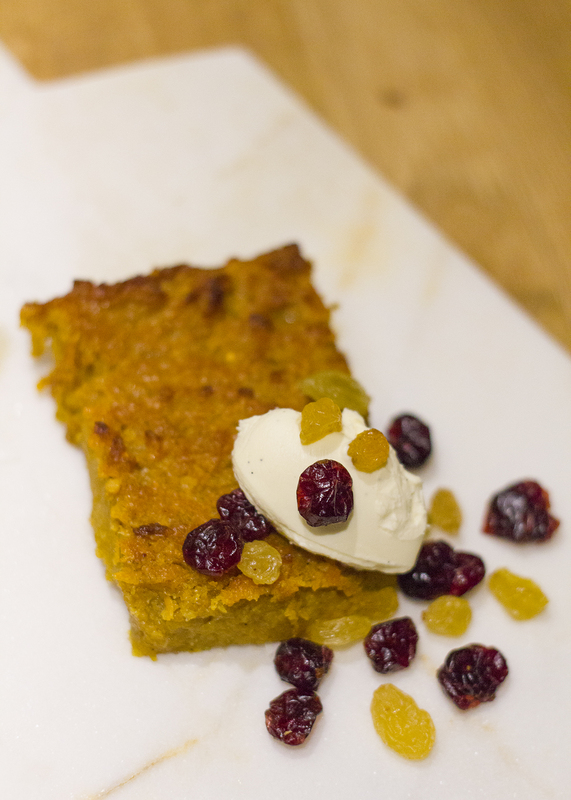 And a sprinkle of dried berries or raisins to jazz it all up. 1. Preheat oven to 350o F/Gas Mark 4/180C. 2. Grease a 9-inch baking tray with a little oil. 3. Peel the sweet potato and grate finely. 4. Add all of the ingredients to the grated sweet potatoes. 5. Whisk until it’s all mixed together with a hand-held whisk. 6. Pour the mixture into the baking tray. 9. Remove from the oven and leave to cool before removing from the tray. 10. 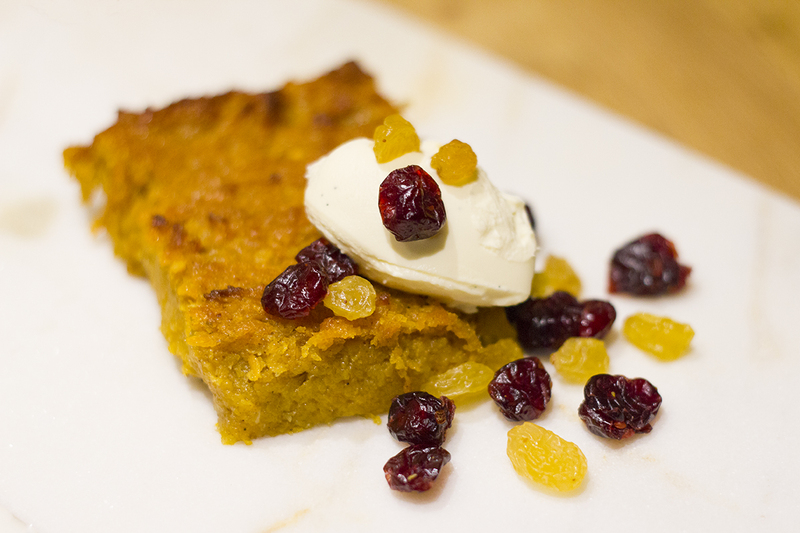 Serve with ice cream/cream/custard and raisins – and enjoy! I know it says to grate the sweet potatoes, but I learnt the hard way just how time-consuming it can be to finely grate 900g of sweet potato! If you can, use a food processor to do the hard work for you on this bit. Or y’know, work those biceps like I did! Also, my resulting mixture was a little too wet, so it might be best to squeeze any excess moisture from your sweet potato before you add the other ingredients. Or use a little less milk, like I did. This will hopefully save you some cooking time, as mine took over an hour. It’s worth the effort for the flavour alone though. 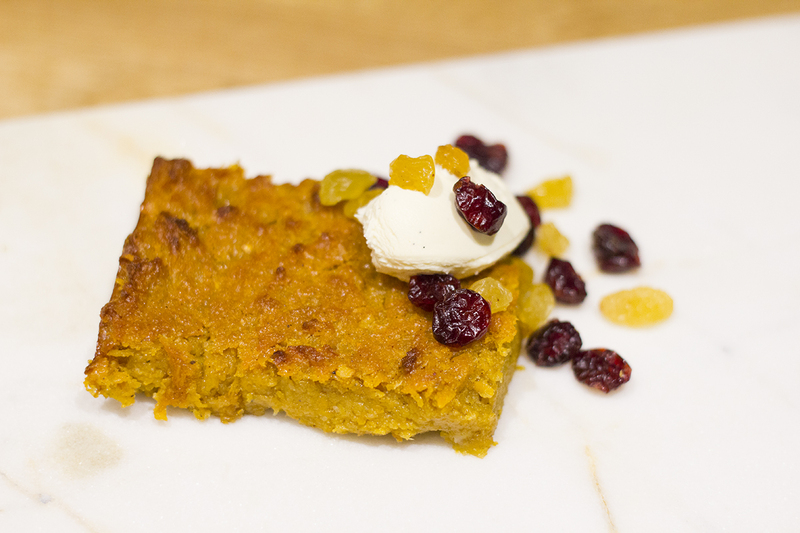 The sweet potato ensures this is a sticky and moist dessert and the cinnamon, ginger and nutmeg give it a really lovely festive flavour that warms you from the inside out. It’s more a dessert after dinner than a sweet snack but one that will definitely surprise your dinner guests. Disclosure: I was commissioned by Inntravel to bake & share this recipe but as always, all thoughts & opinions are my very own! Have you ever baked something sweet with sweet potatoes before?